Honorary Fellow, Population Council (USA). 1987 - 1990 Ph. D. in Economics,BostonUniversity(USA). 1987 - 1988 MA in Political Economy, Boston University (USA). 1973 - 1975 MA in Economics, Delhi School of Economics. Economics in School of Economics, University of Hyderabad. 1999 -2002 Commissioner & Special Officer, Municipal Corporation of Hyderabad. Basic Services, Government of Andhra Pradesh, Hyderabad. 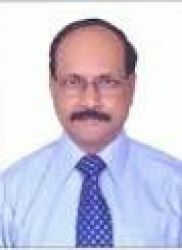 1987 Collector & District Magistrate, Guntur, Andhra Pradesh. 1985 - 1986 Commissioner, Municipal Corporation of Visakhapatnam, Andhra Pradesh. 1984 - 1985 Joint Collector & Additional District Magistrate, Guntur, Andhra Pradesh. 1981 - 1983 Sub-Collector & Sub-divisional Magistrate, Tenali, Andhra Pradesh.
. 1975 - 1979 Lecturer in Economics, Delhi University. Local Politics: Sage Publications,New Delhi.